McGraw Hill offers a free website with a huge variety of manipulatives that would be great for use in a classroom with an interactive projector. After picking your grade level, choose the desired background from the list. 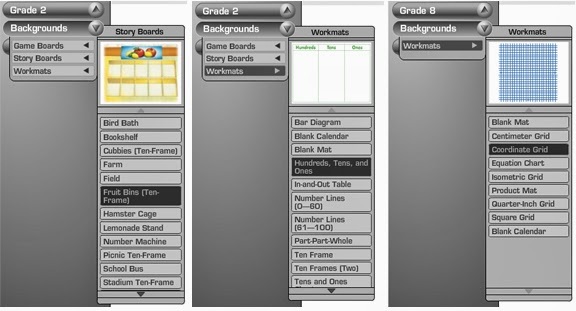 Pre-K-2nd grade have game board and story board options as well as the workmats that are available for all grade levels. Next choose a manipulative. 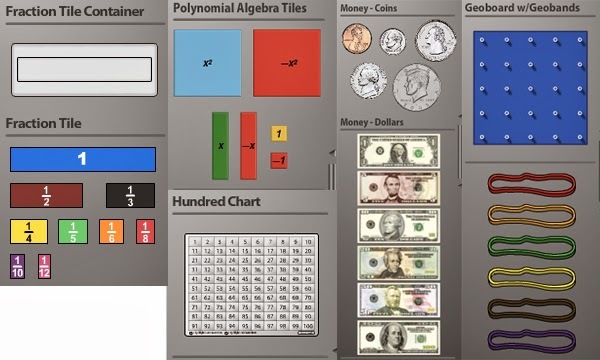 Some options include algebra tiles, base ten blocks, currency, clocks, fraction tiles, geoboards, geometric solids, hundred chart, tangrams, thermometers and many more. 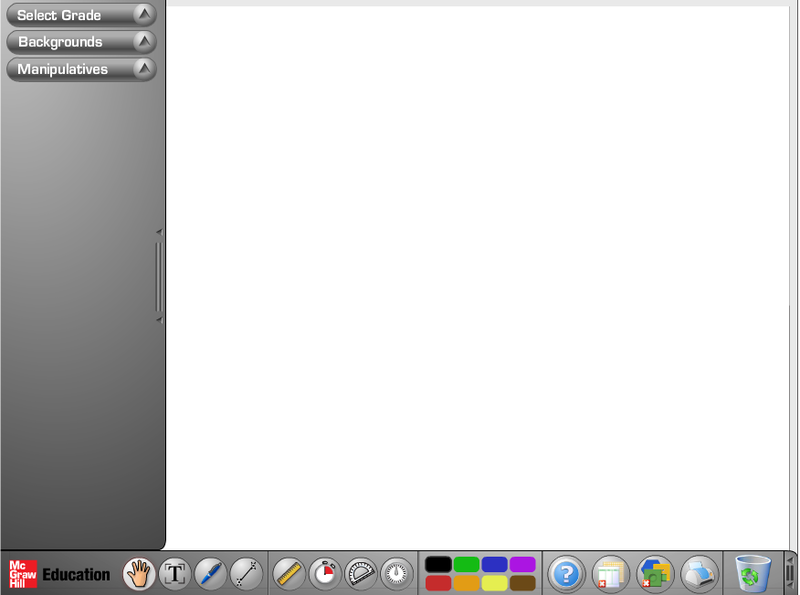 Use the tools at the bottom of the screen to move, type text, draw or measure objects on the workmat. Looking for a way for students using Mac laptops to scan QR codes? QR Journal is a great free option. 1. On a Mac, go to the Applications folder and choose App Store. 3. "Buy" the app using your AppleID. Once it’s installed, open the app from your Applications folder. You'll see a button that says “Scan”. That opens a window that is using the laptop's built in webcam. 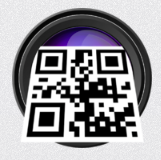 Hold the QR code in front of the camera and it will scan the code. Super easy! 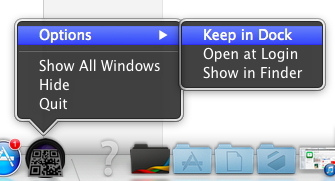 Tip: To make any Mac app easy to access, you can choose to keep it in the dock even when it's not open. Just right-click on the app icon in the dock (when the app is open) and choose "Options" and "Keep in Dock".